Ships Today if ordered within 9 hrs and 7 min. Retail sign for business or personal use. 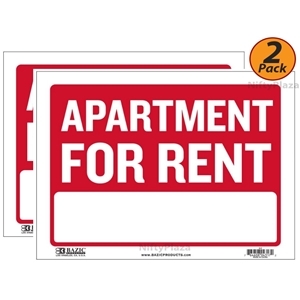 States "Apartment For Rent" Sign in white and has a red backing.